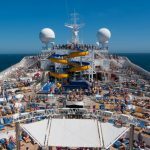 The days of booking a cruise to recline in a lounge chair on the deck and watch the sea go by are long gone. Guests on today’s cruise ships still want to be able to relax on the deck for a bit, but not until they have satiated their desire for activity and excitement. 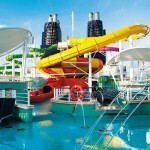 Some of these activities are taking place in the newly outfitted fitness and spa areas of the ship, while others are a part of the new style of adventure excursions being offered on both river and ocean-going cruise ships. 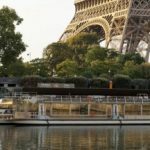 River cruises have always been known for their opportunities for intimate excursions to discover some of the best-kept secrets in the towns along the rivers of multiple continents. But now those tours and excursions are stepping it up a notch with guided bike tours, hiking excursions and even short adventures in smaller boats, kayaks or paddleboards. Not only do guests enjoy seeing these amazing new towns and cities, but they are also enjoying the exercise and healthy lifestyle that has become the norm for many. 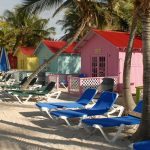 Cruising is about indulging a little bit, but there seems to be a demand for a bit more balance and self-control than in years past. Guests are enjoying the gourmet meals and fancy adult beverages but counterbalancing all of those carbs and calories with a good dose of physical activity. When many travelers picture an Alaska cruise, thoughts circle around ice-cold temperatures and short periods of time spent in a parka on deck as they observe the snow and wildlife from afar. But again, there is far more to do on an up-close and personal level if you have the desire. Small Zodiac boats spend hours ferrying passengers clad in cold weather gear to glaciers for climbing, hiking and fishing adventures. In the warmer areas, guides lead hikes to explore the bear habitats, some of the best salmon fishing in the world or the lifestyle and customs of some of the more remote villages. In the tropical climates cruise guests are now exploring Mayan ruins, the Rainforest, and assorted sand-covered slices of tropical paradise with more excitement and adventure than ever before. Local businesses offer the opportunity to get a birds-eye view with parasailing, treks over rope bridges suspended hundreds of feet in the air, and from zip lines that add the feeling of actually being that bird in flight. Other adventures take guests to the solitude and beauty found only underwater for snorkeling, scuba diving and even a tour in a small submersible. Anyone who has chosen not to book a cruise because he or she thinks it will be too boring or sedentary needs to rethink that decision. 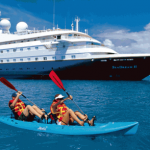 Cruise ships offer as many or even more activities and adventures than can be found in most towns or even major cities. 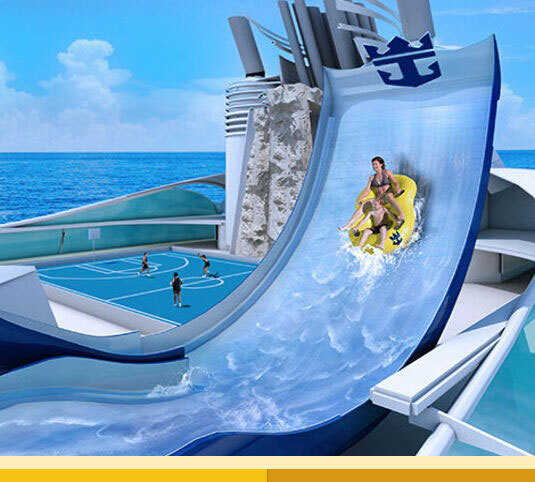 The new cruise lifestyle is definitely keeping up with the desire to be active. Guests on today’s cruise ships still want to be able to relax on the deck for a bit, but not until they have satiated their desire for activity and excitement.